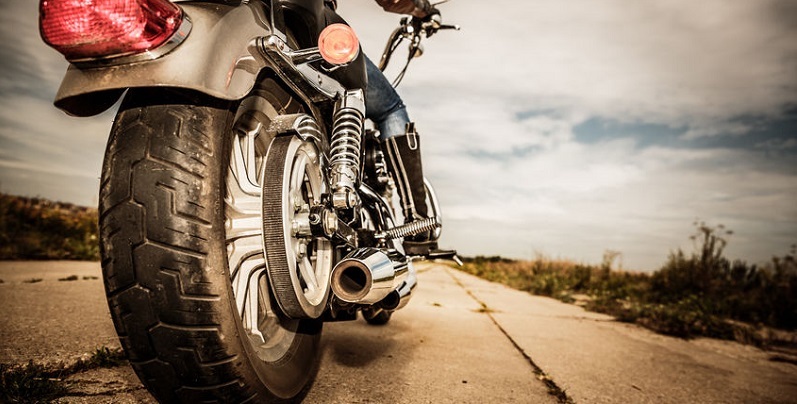 Thousands of fatal motorcycle accidents happen each year because the drivers of larger vehicles do not notice the presence of a motorcycle on the road. Here’s how to be seen, be heard, and beware to avoid accidents. Avoid riding in the blind zones present in all vehicles – the area behind a vehicle that a person can’t see from the driver’s seat. To stay out of someone’s blind spot, make sure that you can see the drivers of all the vehicles around you. If you can see them through direct eye contact or in their mirrors, you’re likely to be in their line of sight, but don’t assume that you are. Black motorcycles may look impressive, but they tend to blend into their surroundings and are sometimes difficult for motorists to see. Riding a brightly colored motorcycle – yellow, white, or red – will generally increase the odds that other motorists will see you. Light-colored gear treated with a reflective finish makes motorcyclists more visible to other motorists, particularly at night. According to the Hurt Report, wearing high-visibility yellow, orange, or bright red jackets is one of the best ways for a motorcyclist to be seen by other motorists on the road, reducing the chance of an accident. Motorcycles are designed to operate with the headlights on at all times, but when no oncoming traffic is present, using your high beams adds an extra level of visibility. Also consider using attention-grabbing headlight modulators, which enable a motorcycle headlight to pulse or flicker in intensity, from between 20 to 100 percent of normal steady burning power. Modulators are legal in all 50 states, provided they comply with federal specifications. Studies have shown that it is easier to estimate the velocity of a vehicle when it has two lights that are spaced apart from one another since the perspective shift helps with depth perception. Installing running lights can not only make your motorcycle more visible but also helps oncoming vehicles more accurately estimate your speed. If you’ve taken all the necessary precautions and a motorist still doesn’t appear to be acknowledging your presence, don’t be afraid to blow your horn. Pressing the horn button often can make the difference between avoiding a crash and becoming the latest victim of a motorcycle accident. When riding a motorcycle, the best course of action is to assume that you are invisible, since many bikers have stories of motorists who looked right at them, made eye contact, and then continued to head right for them like they weren’t even there. Assuming that other motorists cannot see you will help you take the initiative to operate your motorcycle more defensively. Thousands of fatal crashes happen each year because the drivers of larger vehicles do not notice the presence of a motorcycle on the road. Do all you can to be seen, heard, and stay safe.